NASA Is Asking For Your Help! Can You Find A Name for New Horizon’s Next Flyby Target? 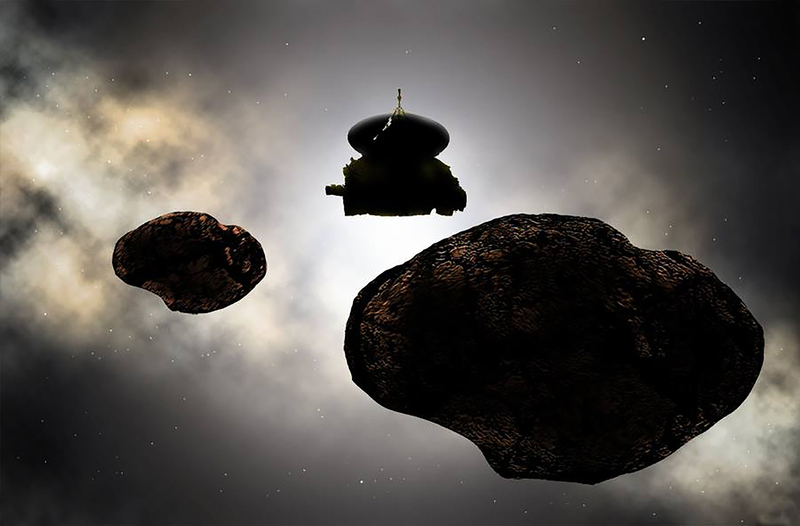 On 1st of January, 2019 New Horizons spacraft is going to fly and collect more details about 2014 MU69, a rock situated at the edge of our Solar System. NASA and the New Horizons team are asking the public for help in giving “MU69” a nickname to use for this exploration target. It is known until now that it has a diameter of 38km, orbiting the Sun at a distance 40 times greater than that between the Earth and the Sun. It is believed to be 4.6 billion years old. We are curious to know if this frozen world will be found to be a single body or perhaps a system of multiple objects. “New Horizons made history two years ago with the first close-up look at Pluto, and is now on course for the farthest planetary encounter in the history of spaceflight. We’re pleased to bring the public along on this exciting mission of discovery,” said Thomas Zurbuchen, associate administrator for NASA’s Science Mission Directorate in Washington. New Horizons passing in front of 2014 MU69 on 17th July, 2017. Images are captured by one of 5 Argentian space telescopes. Observing the complexity of the Pluto system, with its natural satellites, “New Horizons has always been about pure exploration, shedding light on new worlds like we’ve never seen before,” said Alan Stern, New Horizons principal investigator from Southwest Research Institute in Boulder, Colorado. MU69 is 4 billion miles (6.5 billion kilometers) away from Earth and what New Horizons will capture, will make us hold our breath.